USDA and Interior manage over 600 million acres of land, including sites contaminated from prior uses or events, such as mining or toxic spills. These lands are managed by five Interior agencies, including BLM and the National Park Service, and five USDA agencies, including the U.S. Forest Service. These agencies must identify and report to EPA certain facilities that may threaten human health or the environment and, under some circumstances, clean them up. They must also report cost estimates for addressing contamination at certain sites, called environmental liabilities. 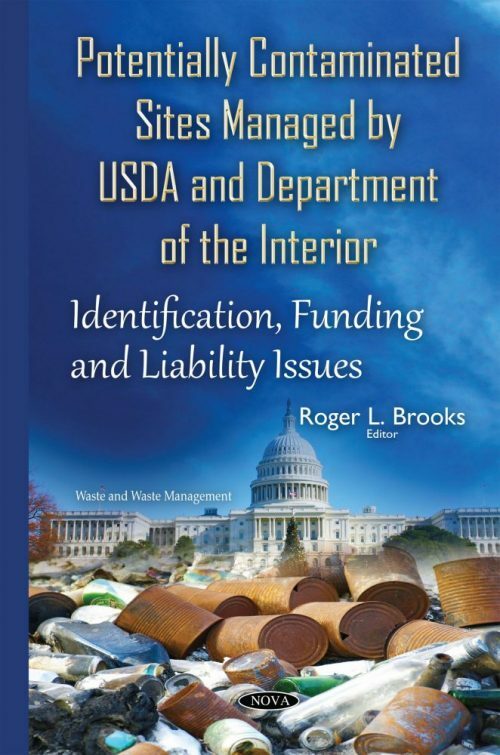 This book examines USDA’s and Interior’s efforts to identify these sites, funding to address the sites, reported environmental liabilities, and EPA’s role in addressing the sites. Furthermore, this book provides a summary of the Superfund Amendments and Reauthorization Act and related provisions of the Act.